Optimize special properties such as fracture toughness, fatigue strength, and high-temperature creep strength. Various types of annealing treatments (single, duplex, (beta), and recrystallization annealing, for example), and solution treating and aging treatments, are imposed to achieve selected mechanical properties. Stress relieving and annealing may be employed to prevent preferential chemical attack in some corrosive environments, to prevent distortion (a stabilization treatment) and to condition the metal for subsequent forming and fabricating operations. The response of titanium and titanium alloys to heat treatment depends on the composition of the metal and the effects of alloying elements on the α-β crystal transformation of titanium. In addition, not all heat treating cycles are applicable to all titanium alloys, because the various alloys are designed for different purposes. Alloys Ti-5Al-2Sn-2Zr-4Mo-4Cr and Ti-6Al-2Sn-4Zr-6Mo are designed for strength in heavy sections. Alloys Ti- 6Al-2Sn-4Zr-2Mo and Ti-6Al-5Zr-0.5Mo-0.2Si for creep resistance. Alloys Ti-6Al-2Nb-1 Ta-1Mo and Ti-6Al-4V, for resistance to stress corrosion in aqueous salt solutions and for high fracture toughness. Ti-6Al-6V-2Sn, Ti-6Al-4V and Ti-10V-2Fe-3Al for high strength at low-to-moderate temperatures. Effects of Alloying Elements on α-β Transformation. Unalloyed titanium is allotropic. Its close-packed hexagonal structure (α phase) changes to a body-centered cubic, structure (β-phase) at 885°C (1625°F), and this structure persists at temperatures up to the melting point. With respect to their effects on the allotropic transformation, alloying elements in titanium are classified as α stabilizers or β stabilizers. Alpha stabilizers, such as oxygen and aluminum, raise the α-to-β transformation temperature. Nitrogen and carbon are also stabilizers, but these elements usually are not added intentionally in alloy formulation. Beta stabilizers, such as manganese, chromium, iron, molybdenum, vanadium, and niobium, lower the α-to-β transformation temperature and, depending on the amount added, may result in the retention of some β phase at room temperature. Alloy Types. Based on the types and amounts of alloying elements they contain, titanium alloys are classified as α, near-α, α-β, or β alloys. The response of these alloy types to heat treatment is briefly described below. Alpha and near-alpha titanium alloys can be stress relieved and annealed, but high strength cannot be developed in these alloys by any type of heat treatment (such as aging after a solution beta treatment and quenching). The commercial β alloys are, in reality, metastable β alloys. When these alloys are exposed to selected elevated temperatures, the retained β phase decomposes and strengthening occurs. For β alloys, stress-relieving and aging treatments can be combined, and annealing and solution treating may be identical operations. Alpha-beta alloys are two-phase alloys and, as the name suggests, comprise both α and β phases at room temperature. These are the most common and the most versatile of the three types of titanium alloys. Iron content must be kept as low as possible to optimize creep and stress-rupture properties. Most creep-resistant alloys require iron levels at or below 0.05wt%. Titanium and titanium alloys can be stress relieved without adversely affecting strength or ductility. Stress-relieving treatments decrease the undesirable residual stresses that result from first, nonuniform hot forging or deformation from cold forming and straightening, second, asymmetric machining of plate or forgings, and, third, welding and cooling of castings. The removal of such stresses helps maintain shape stability and eliminates unfavorable conditions, such as the loss of compressive yield strength commonly known as the Bauschinger effect. When symmetrical shapes are machined in the annealed condition using moderate cuts and uniform stock removal, stress relieving may not be required. Compressor disks made of Ti-6Al-4V has been machined satisfactorily in this manner, conforming with dimensional requirements. In contrast, thin rings made of the same alloy could be machined at a higher production rate to more stringent dimensions by stress relieving 2 h at 540°C (1000°F) between, rough and final machining. Separate stress relieving may be omitted when the manufacturing sequence can be adjusted to use annealing or hardening as the stress-relieving process. For example, forging stresses may be relieved by annealing prior to machining. The annealing of titanium and titanium alloys serves primarily to increase fracture toughness, ductility at room temperature, dimensional and thermal stability, and creep resistance. Many titanium alloys are placed in service in the annealed state. Because improvement in one or more properties is generally obtained at the expense of some other property, the annealing cycle should be selected according to the objective of the treatment. Mill annealing is a general-purpose treatment given to all mill products. It is not a full anneal and may leave traces of cold or warm working in the microstructures of heavily worked products, particularly sheet. 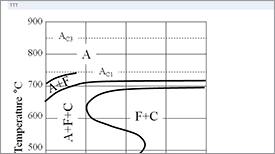 Duplex annealing alters the shapes, sizes, and distributions of phases to those required for improved creep resistance or fracture toughness. In the duplex anneal of the Corona 5 alloy, for example, the first anneal is near the β transus to globularize the deformed α and to minimize its volume fraction. This is followed by a second, lower-temperature anneal to precipitate new lenticular (acicular) α between the globular α particles. This formation of acicular α is associated with improvements in creep strength and fracture toughness. Recrystallization annealing and β annealing are used to improve fracture toughness. In recrystallization annealing, the alloy is heated into the upper end of the α-β range, held for a time, and then cooled very slowly. In recent years, recrystallization annealing has replaced β annealing for fracture critical airframe components. β (Beta) Annealing. Like recrystallization annealing, β annealing improves fracture toughness. 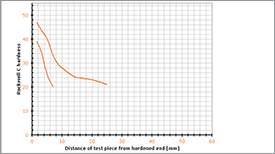 Beta annealing is done at temperatures above the β transus of the alloy being annealed. To prevent excessive grain growth, the temperature for β annealing should be only slightly higher than the β transus. 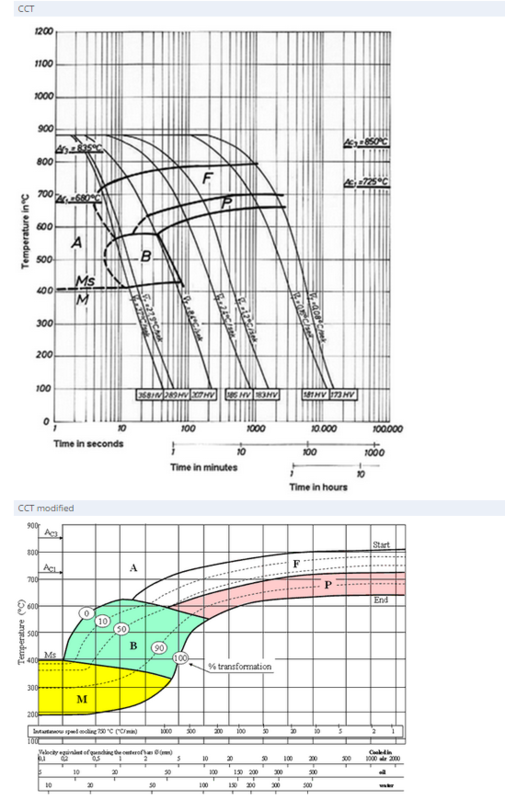 Annealing times are dependent on section thickness and should be sufficient for complete transformation. Time at temperature after transformation should be held to a minimum to control β grain growth. Larger sections should be fan cooled or water quenched to prevent the formation of a phase at the β grain boundaries. Straightening, sizing, and flattening of titanium alloys are often necessary in order to meet dimensional requirements. 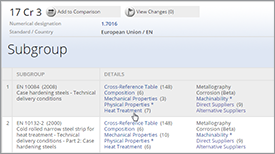 The straightening of bar to close tolerances and the flattening of sheet present major problems for titanium producers and fabricators. Unlike aluminum alloys, titanium alloys are not easily straightened when cold because the high yield strength and modulus of elasticity of these alloys result in significant springback. Therefore, titanium alloys are straightened primarily by creep straightening and/or hot straightening (hand or die), with the former being considerably more prevalent than the latter. Straightening, sizing, and flattening may be combined with annealing by the use of appropriate fixtures. The parts, in bulk or in fixtures, may be charged directly into a furnace operating at the annealing temperature. At annealing temperatures many titanium alloys have a creep resistance low enough to permit straightening during annealing. Creep straightening may be readily accomplished during the annealing and/or aging processes of most titanium alloys. However, if the annealing/aging temperature is below about 540 to 650°C (1000 to 1200°F), depending on the alloy, the times required to accomplish the desired creep straightening can be extended. Creep straightening is accomplished with rudimentary or sophisticated fixtures and loading systems, depending on part complexity and the degree of straightening required. Creep flattening consists of heating titanium sheet between two clean, flat sheets of steel in a furnace containing an oxidizing or inert atmosphere. Vacuum creep flattening is used to produce stress-free flat plate for subsequent machining. The plate is placed on a large, flat ceramic bed that has integral electric heating elements. Insulation is placed on top of the plate, and a plastic sheet is sealed to the frame. Stability. In α-β titanium alloys, thermal stability is a function of β-phase transformations. 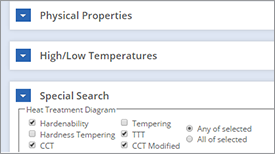 During cooling from the annealing temperature, β may transform and, under certain conditions and in β alloys, may form a brittle intermediate phase known as ω. A stabilization annealing treatment is designed to produce a stable β phase capable of resisting further transformation when exposed to elevated temperatures in service. Alpha-beta alloys that are lean in β, such as Ti-6Al-4V, can be air cooled from the annealing temperature without impairing their stability. To obtain maximum creep resistance and stability in the near-α alloys Ti-8Al-1 Mo-1 V and Ti-6Al-2Sn-4Zr-2Mo, a duplex annealing treatment is employed. This treatment begins with solution annealing at a temperature high in the α-β range, usually 25 to 55°C (50 to 100°F) below the β transus for Ti-8Al-1Mo-1Vand 15 to 25°C (25 to 50°F) below the α-β transus for Ti-6Al-2Sn-4Zr-2Mo. A wide range of strength levels can be obtained in α-β or β alloys by solution treating and aging. With the exception of the unique Ti-2.5Cu alloy (which relies on strengthening from the classic age-hardening reaction of Ti2Cu precipitation similar to the formation of Guinier-Preston zones in aluminum alloys), the origin of heat-treating responses of titanium alloys lies in the instability of the high-temperature β phase at lower temperatures. 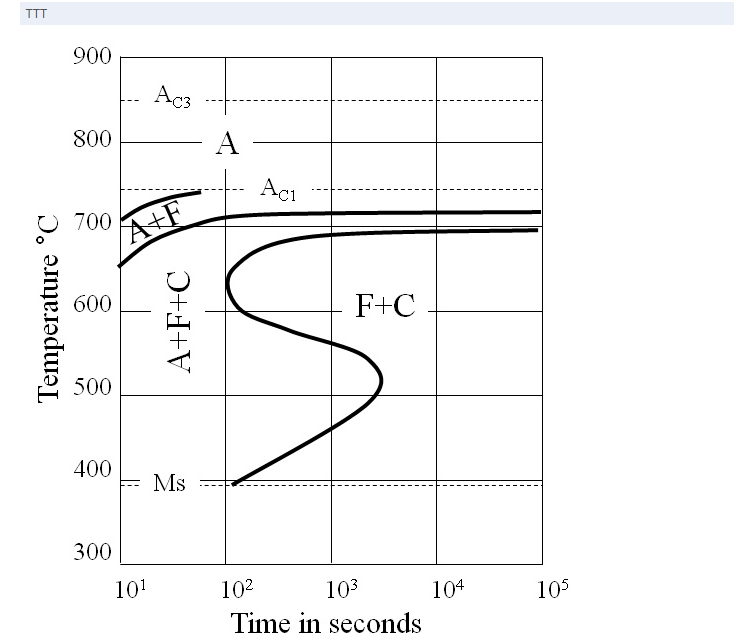 Heating an α-β alloy to the solution-treating temperature produces a higher ratio of β phase. This partitioning of phases is maintained by quenching; on subsequent aging, decomposition of the unstable β phase occurs, providing high strength. Commercial β alloys generally supplied in the solution-treated condition, and need only to be aged. After being cleaned, titanium components should be loaded into fixtures or racks that will permit free access to the heating and quenching media. Thick and thin components of the same alloy may be solution treated together, but the time at temperature is determined by the thickest section. 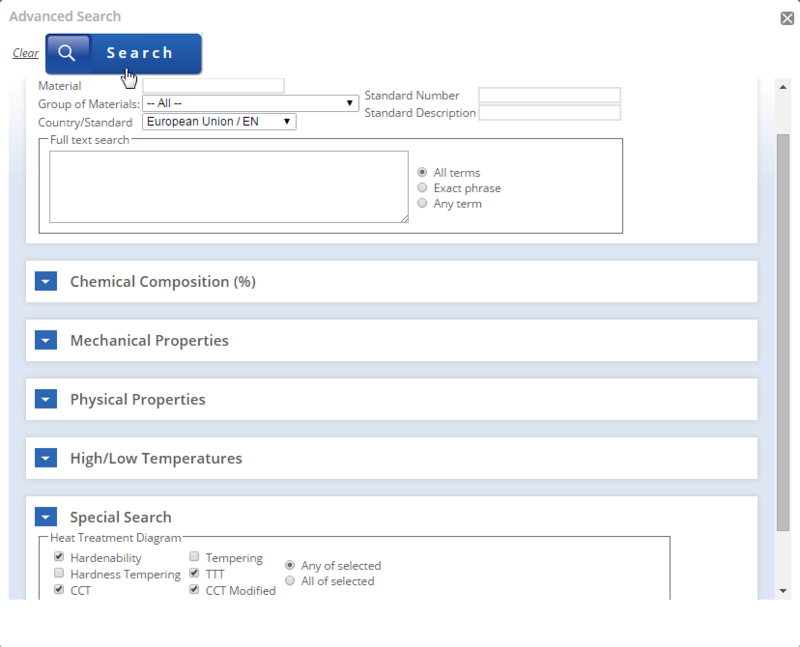 Time/temperature combinations for solution treating are given in Table 1. A load may be charged directly into a furnace operating at the solution-treating temperature. Although preheating is not essential, it may be used to minimize the distortion of complex parts. 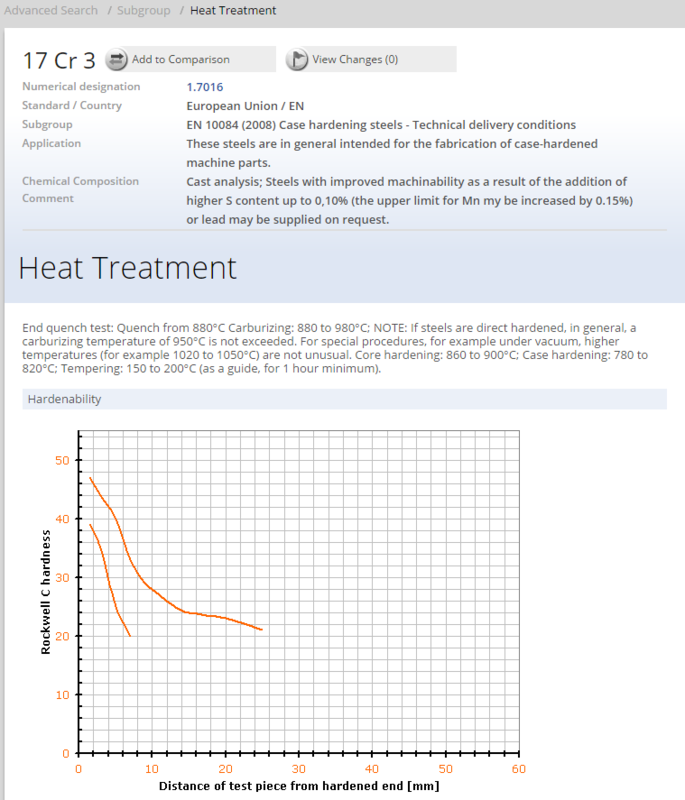 Solution treating of titanium alloys generally involves heating to temperatures either slightly above or slightly below the β transus temperature. The solution-treating temperature selected depends on the alloy type and practical considerations briefly described below. 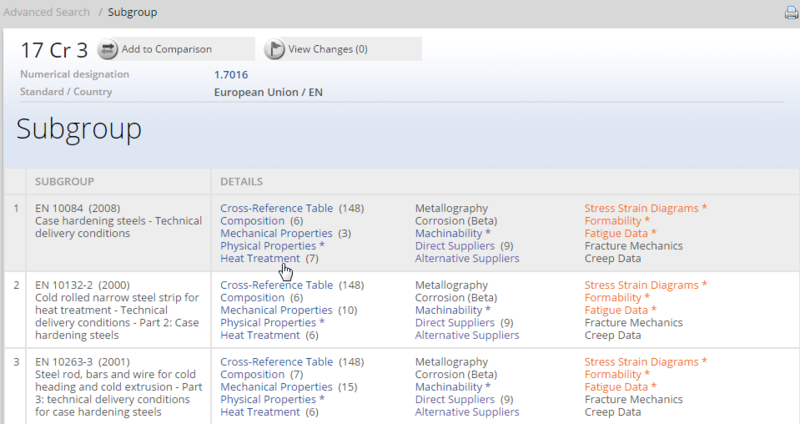 β (Beta) alloys are normally obtained from producers in the solution-treated condition. If reheating is required, soak times should be only as long as necessary to obtain complete solutioning. Solution-treating temperatures for β alloys are above the β transus; because no second phase is present, grain growth can proceed rapidly. α-β (Alpha-beta) alloys. Selection of a solution-treatment temperature for α-β alloys is based on the combination of mechanical properties desired after aging. A change in the solution-treating temperature of α-β alloys alters the amounts of β phase and consequently changes the response to aging. 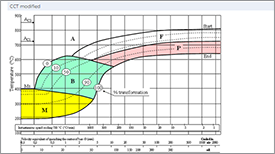 To obtain high strength with adequate ductility, it is necessary to solution treat at a temperature high in the α-β field, normally 25 to 85°C (50 to 150°F) below the β transus of the alloy. If high fracture toughness or improved resistance to stress corrosion is required, β annealing or β solution treating may be desirable. However, heat treating α-β alloys in the β range causes a significant loss in ductility. These alloys are usually solution heat treated below the β transus to obtain an optimum balance of ductility, fracture toughness, creep, and stress rupture properties.